The Food Alphabet and More: Grande Wednesdays are back at Starbucks! Get your featured Iced Grande beverages for only P100! Grande Wednesdays are back at Starbucks! Get your featured Iced Grande beverages for only P100! It's back! Starbucks Grande Wednesdays are back! 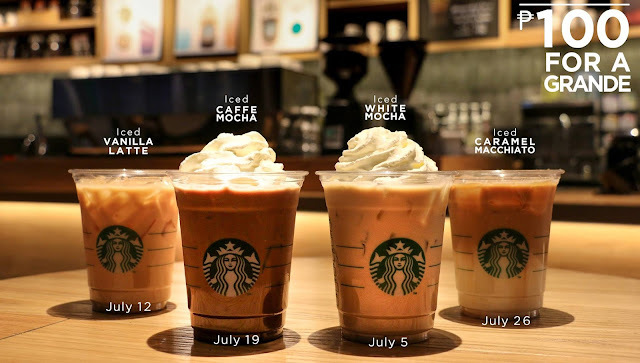 Get the featured Iced Espresso beverage for only P100 for a Grande drink (16oz.) for all Wednesdays of July from 3pm to 6pm. Mark your calendars for the featured beverage on Wednesdays for your P100 Grande.